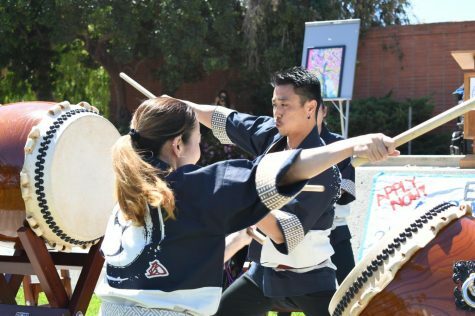 A crowd gathered in front of the Student Activities Center’s outdoor stage for the 19th annual Nadine Ishitani Hata Memorial Cherry Blossom Festival at El Camino College on Thursday, March 28. 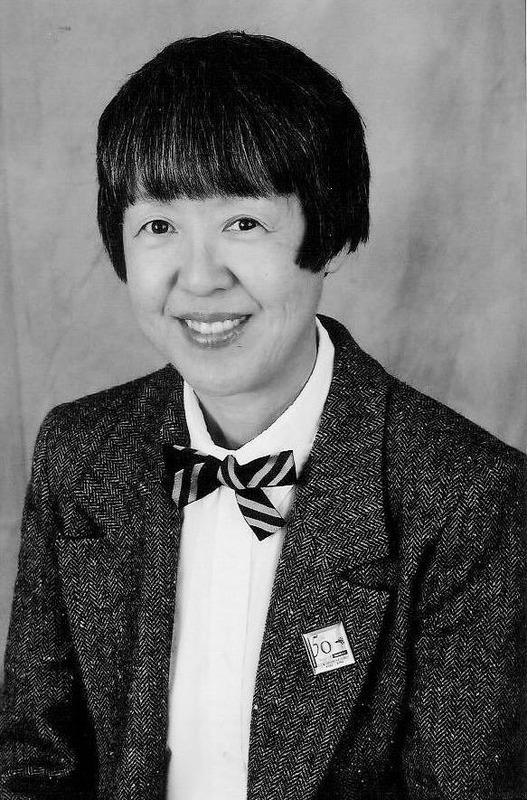 In what has become an established tradition at EC, the festival commemorates the life of former Vice President of Academic Affairs and history professor at EC Dr. Nadine Ishitani Hata, who passed away in 2005 after battling breast cancer. “I know, like many of you, I look forward to this event every year because it’s so meaningful and special at the college,” President and Superintendent of EC Dena Maloney said. During her speech, Maloney thanked the American Honda Motor Company (AHM) for their part in donating the cherry blossom trees to EC as well as for their support towards an endowment fund created in Nadine Hata’s name in 2006, which is granted to nursing students. Through her efforts and donations by the AHM, Nadine Hata played an instrumental role in having cherry blossom trees planted along the north side of the campus’ Communications Building nearly two decades ago. 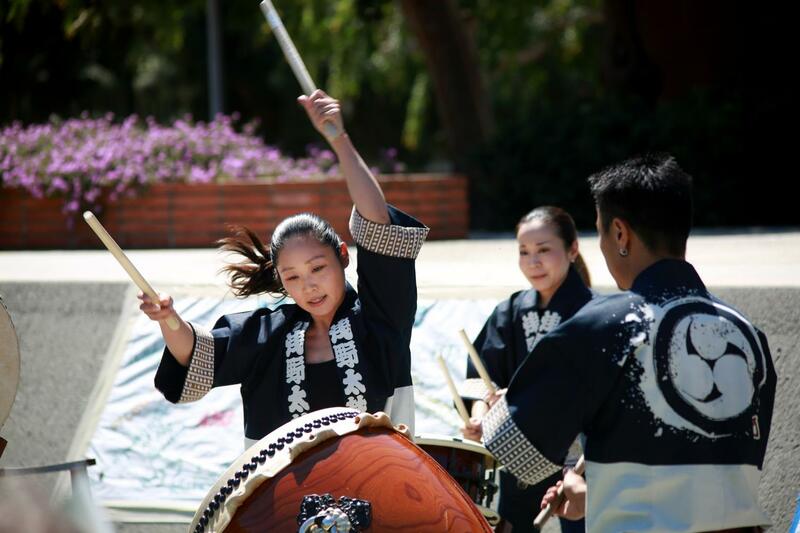 During the event, thundering sounds of the taiko drums said to ward off evil spirits were performed by the UnitOne of Asano Taiko U.S. and rumbled through the air, drowning out the constant barrage of noise created by the construction work taking place just a few feet away. UnitOne of Asano Taiko also provided a brief history of the origins and meaning of the taiko drums. Dr. Nadine Ishitani Hata, former Vice President of Academic Affairs and history professor at El Camino Community College who passed away in 2005 after battling breast cancer. She is credited for bringing the cherry blossom trees located next to the Communications Building. Courtesy of the Academic Affairs Department at El Camino College. Talking about the festival’s origins back in Japan, Kushigemachi said that community and the transcendental aspects of nature were among the themes being celebrated today. 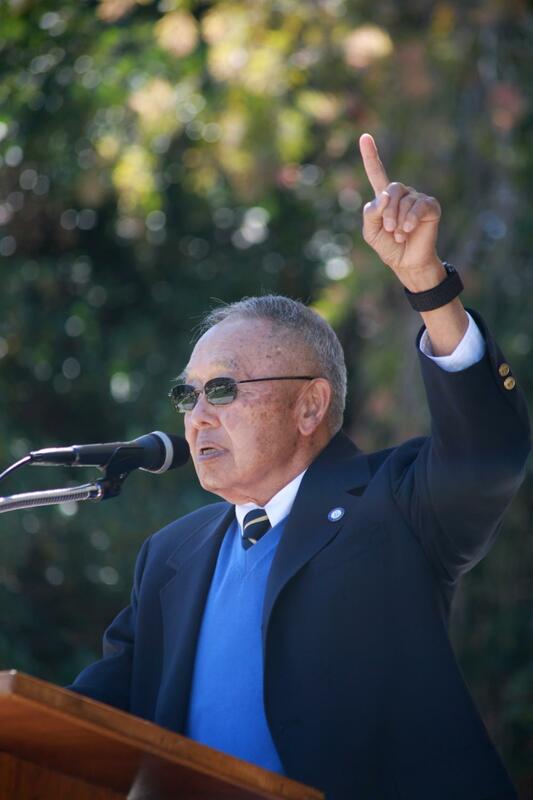 Nadine Hata’s life was also captured by students performing Japanese styled haiku poetry during the event. Following Gouche, Donald Hata said he commends the tough but competent spirit of professors who have sought to motivate EC students to strive for their best. UnitOne of Asano Taiko U.S. provided one last clap of thunderous sounds through their performance, signaling the end to the festivities. 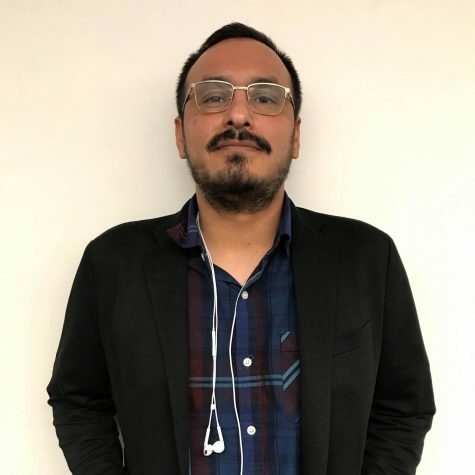 Updated on Wednesday, April 3, at 1 p.m. for style errors.